For filling minor imperfections like nicks, holes, dents and open woodgrain. Sands to a glass-smooth finish. Extra adhesive strength allows vigorous sanding and fine feathering. No need to prime and can be over-painted in approx 1 hour. 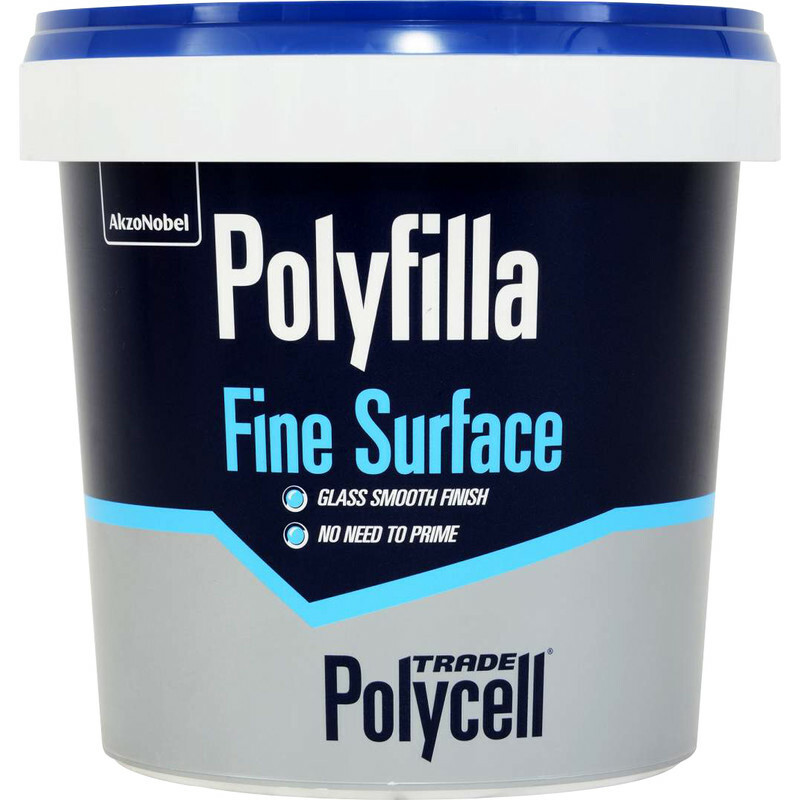 Polycell Trade Polyfilla Ready Mixed Fine Surface Filler 500g is rated 3.5 out of 5 by 4. Rated 5 out of 5 by Box section Bob from Quality product Use this product before. Gives a smooth finish, even in shallow damage. Rated 5 out of 5 by Anonymous from Pricey but well worth it for difficult cracks Had tried used standard filler on a small crack three times but after sanding down could'nt get it to blend in perfectly. This stuff worked brilliantly, no trace of the crak cisible afterwards. It's much harder than conventional filler - more like a two part car body filler. It takes a lot more sanding effort to rub down so don't overdo it putting it on.